This game was about history as it should have been, rather than perhaps as it was. 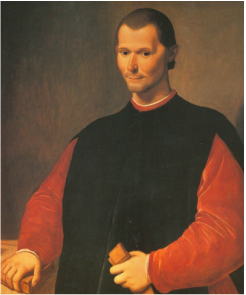 Certain liberties were taken with dates, characters and events in the interest of developing a suitable scenario and the game focussed on Italy and the surrounding regions around 1500, with a number of sub-games to cover trade, culture, intrigue and warfare. Austria, France and Spain all had an interest in Italy, particularly as overseas trade had brought vast wealth into the region, which rulers with large lands and many commitments elsewhere covet. Matters elsewhere needed the monarch’s attention, so part of the game was prioritising resources. Players made up the ruling class of a small kingdom, duchy or republic, representing the leading families and trying to ensure success for their dynasty through advantageous marriages. Whilst enriching the city was important, the new wealth should be put to use to ensure that it became renowned for its culture and public works. Most city states could field only a small citizen militia, although there were those who spoke of standing armies. In the meantime professional soldiers for hire took money and occasionally followed orders. All they asked for was to retire with a title, an eligible young bride and a lavish estate. Far more soldiers died of sickness than wounds, often whilst besieging city walls. 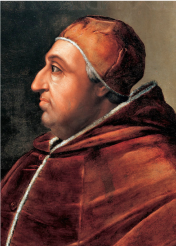 Although most cardinals have family ties in Italy, the current occupant of St Peter’s throne is Alexander VI, a Spanish nobleman and he needs to consolidate his reign after buying conclave votes. The Papal State is extensive but there are many rivals for the crossed keys. He does have several children (officially his nieces and nephews) and confidants to aid him in his task. Throughout the game players had to decide where best to invest their wealth, for a political or social return. Assassinations were planned, trade routes opened occasionally wars to fight. Plagues and famine are an accepted part of life in Italy at this point and whilst life may be short, it should be lived well. Deception and backstabbing should be accepted as part and parcel of gameplay.